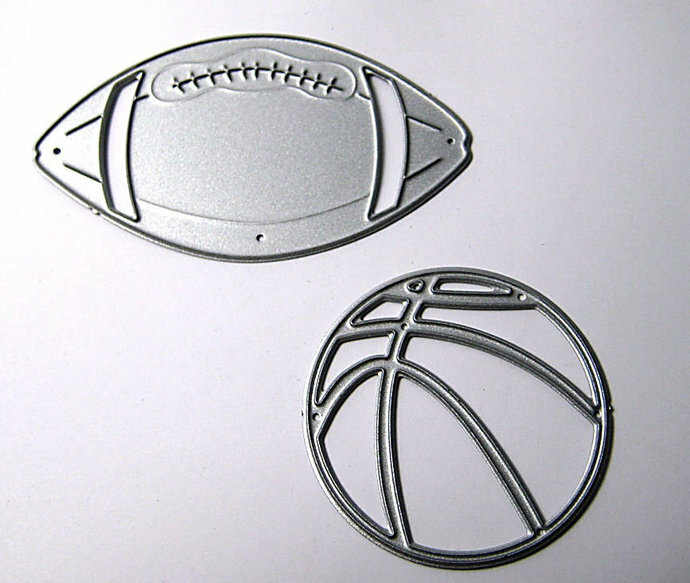 2pc Football and Basketball Cutting Die Set, Basketball 1 & 5/8" across, Football is 2 & 9/16: across. 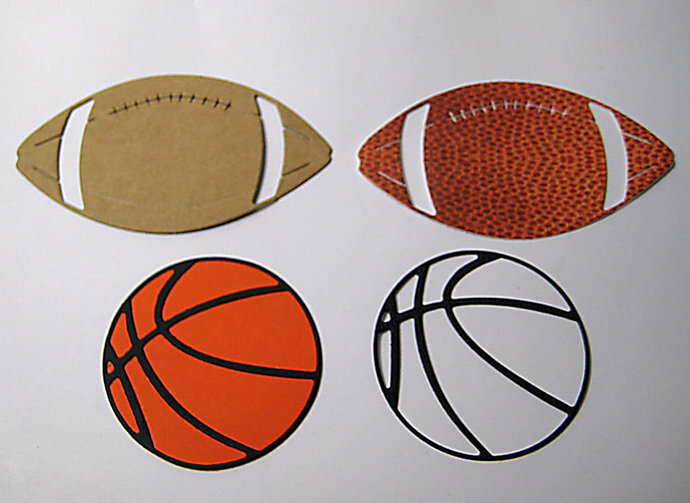 I cut a circle for the basketball but didn't have the exact size I needed, so had to glue and cut off the excess orange. ** SPECIAL NOTE ** I am a smoker, if you are sensitive please take this into consideration before purchasing.